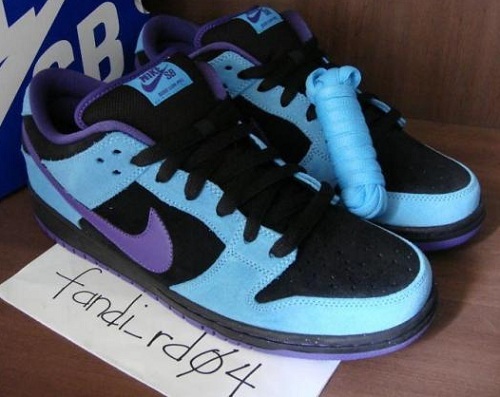 We get our first look at what we can expect from Nike SB next month, beginning with this all new SB Dunk Low. With most of April's Nike SB footwear releases already arriving at retailers, it's time to take a look at what we can expect next month. Most likely to be one of next month's most anticipated releases, will be this all new SB Dunk Low making use of a color scheme we are all familiar with. Suede works the entire upper, with the classic color combination of black, aqua and purple creating the eye-catching look. Down below sits a black midsole, with purple making one last appearance on the outsole. 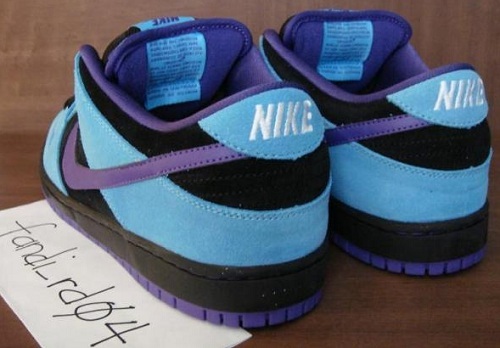 Look for these to arrive at select Nike SB retailers next month.